If you’re really trying to capture the story of your wedding day rather than simply document all the big moments, then you’re probably going to want to enlist some help in the way of professional photographers. We’re not just saying that because we do wedding photography in NY and NJ either. The truth is that there’s an art to it, and it’s not as simple as being in the right place at the right time and hitting the right button. But we also know that, these days, there’s just no point in fighting the fact that there will plenty of family and friends at every wedding who will be snapping their own photos throughout the day. It’s just the world we live in now, which is why creating an unforgettable hashtag is so important. Don’t sacrifice short & sweet for long & personal. For some basic hashtag tips, check out this post, How to Create the Perfect Hashtag for Your Wedding, and Your Wedding Photos, but sometimes, simply personalizing it with your and/or your partner’s names or nicknames, or with your wedding date isn’t enough. Yes, those things should help to ensure that your hashtag is unique and doesn’t get confused with others, but they may not make it all that memorable, and make no mistake, that is the whole point, which is why making your hashtag short and sweet is so important. Anything even slightly too long can make things a little difficult to remember, especially with everything else that will be going on on your big day, and the last thing you want is to make your hashtag hard to recall. Again, no one’s saying that you shouldn’t look for ways to make your hashtag more person—you absolutely should—but just that you shouldn’t do it at the expense of making it super long or confusing. Use what separates your wedding from the rest. 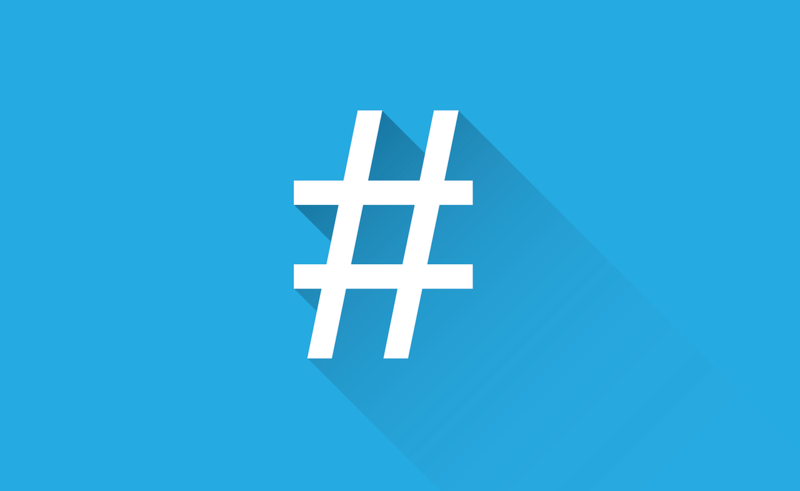 Using your and/or your partner’s names and nicknames, and the date of your wedding, aren’t the only ways to tailor your hashtag to your celebration, which is also key to creating unforgettable hashtags. You need to sit down and think of some of the words that you’d use to describe your particular wedding. It could be that you’re having a destination wedding, in which case you may want to use the name of the location within your hashtag or a couple of foreign words native to the location. Or you may just want to use the physical name of your venue or actual location, or you could even incorporate the setting or surroundings of your venue into your hashtag too. It could also be that you’ve gone with a certain theme for your big day and, in that case, you could use the name of the theme or a word or two related to it within your hashtag to help make it more memorable. The point is that anything specific and relevant like this can help. Just try to think of the kind of experience you’re going for with your celebration and what you’d like to stand out to your guests. Then, start looking for ways to weave those elements into your hashtag. Even if it takes time, try to DIY. Like practically anything else these days, there are tools out there which you can use to automatically generate hashtags to use for your wedding photos. The thing is, for the most part, they’re designed to please the masses, meaning they give out the same options, over and over again. And while it can be tempting to go that route, considering that creating a creative and witty hashtag will take some time, whether that means coming up with a clever pun or rhyme or something else, you’re far better off taking the DIY approach. After all, your hashtag won’t be too memorable if a bunch of other couples have used it, not to mention how confusing that can make things in the long run. And the whole point is to make it more your own anyway. Yes, that means that you and your partner will likely have to set up a time to start brainstorming hashtag ideas and coming up with some options, but the bottom line is that the results that you’ll end up with will inevitably be a lot more personal to the wedding you’re planning than those you’d get from an automatic generator. Now, once you come up with your unforgettable hashtag, it’s key that you then start using it early and often throughout your entire wedding planning process. Whether you’re dress shopping, making some DIY additions for your celebration space, etc., you should absolutely employ the hashtag to any wedding-related photos you take and upload leading up to your big day. Trust us, not only will that go a long way toward getting your friends and family members to catch on to using the hashtag, but it will also give you more images with which you can tell your wedding’s story, starting from the earliest stages! From there, remember that it’s critical that you stick to the basics, including avoiding words that may be difficult to spell for some and using capital letters to separate words and make your hashtag phrases more clear. Again, as longtime NY / NJ wedding photographers we highly recommend enlisting the help of the pros for something as important as your wedding day, but the bottom line is that we’re in a day and age when every guest has the tools to be a photographer. So, make sure you come up with a hashtag they can remember. That way, if there are any gems that your photographers didn’t capture yet your guests did, they’ll know where to put them, and you’ll know where to find them. About Us: Live Picture Studios is composed of a team of experienced NY / NJ wedding photographers, videographers, and editors who’ve been making memories magical in the NY, NJ, PA, and CT area for years with dazzling wedding photos and videos. Check out our photo gallery and video gallery for some examples. So, Do You Really Need Wedding Videography and Photography?